Drew Massie tells us how he uses technology to super-serve small communities, how he uses the pay-per-call advertising model to grow small businesses, and how he balances being a father and an entrepreneur. 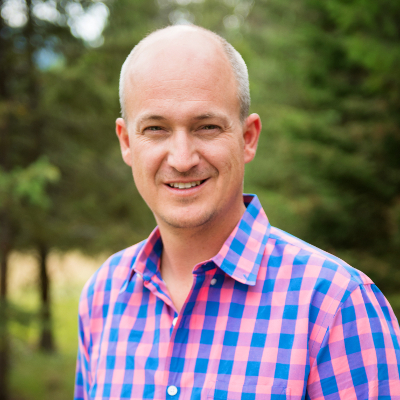 Today’s guest, Drew Massie, is Founder and CEO of AttorneyFone, which provides marketing and technology services for attorneys, and LeadGen Ventures, which helps startups with product development and go-to-market strategy for call generation and lead generation. Drew is an experienced entrepreneurial technology and business development professional, and he has impressively managed to grow his businesses while raising a family. We’re going to learn how startups can take advantage of a pay-per-call advertising model, the processes that Drew goes through to grow new business ventures, and how he has been able to balance being a father and an entrepreneur. 1:30 – Drew’s first entrepreneurial venture – and his first taste of super-serving a small community – was CompleteCar.com, a vertical search engine for car owners looking for repairs. 4:15 – LeadGen Ventures is “a way to kinda create a venture capital firm without having the capital.” It’s venture services and software. Drew helps startups and ventures with technology – lead management, call management, call center management, etc. 6:00 – AttorneyFone is the 3rd incarnation of a project Drew started in business school, TixNix, which intended to match individuals with driving tickets with attorneys. 6:45 – AttorneyFone now generates inbound calls for attorneys and screens the callers to assure they are a match for the attorney and the consultation. They use a pay-per-call advertising model combining classic telephone marketing skills with modern technology. 9:25 – What are some of the hurdles that Drew saw launching that two-sided marketplace, and how did he plan for them? 15:00 – How does the monetization of the call service work, and how does Drew generate leads for AttorneyFone? The service provider gets a call and has a certain amount of time to talk to that person. Once the timer goes over a certain amount, payouts are triggered in the software. Pre-screened transfers where the call goes to a call center agent asking a consistent set of questions to deliver a consistent product to your buyer. 23:00 – What other types of businesses can effectively use the pay-per-call model to drive leads? 28:25 – AttorneyFone is closing in on a one-year run rate of $1 million in revenue. That said, it’s a slower growth rate than what Drew has wanted – however, that’s forced a lot of new innovations in the background. 31:55 – Drew sees services expanding because 95% of the callers are calling from a mobile phone. Text messages can provide valuable, additional information, and clients can send e-signatures. On top of that, all of this can be done without getting off of the call. 34:15 – Tell us about the ups and downs of growing startups while raising a family, and how has Drew been able to balance being a father and an entrepreneur at the same time? To learn more about Drew or connect with him directly head over to his LinkedIn page, and if you want to learn more about his business ventures head over to leadgenventures.com and attorneyfone.com.